Note: this is not a shark diving trip. This is an open water SCUBA and freediving trip designed to offer our guests opportunities to appreciate the unique inhabitants and explore the underwater scenery of Guadalupe Island. 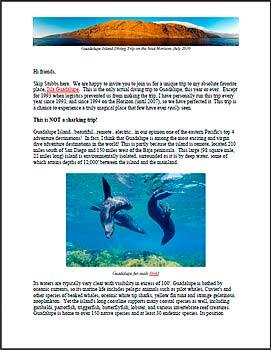 This is the only open-water diving trip to Guadalupe Island, this year (or probably ever), that we know of. The dates are July 21-29, 9 calendar days with 7 fulls days of diving and two travel days. 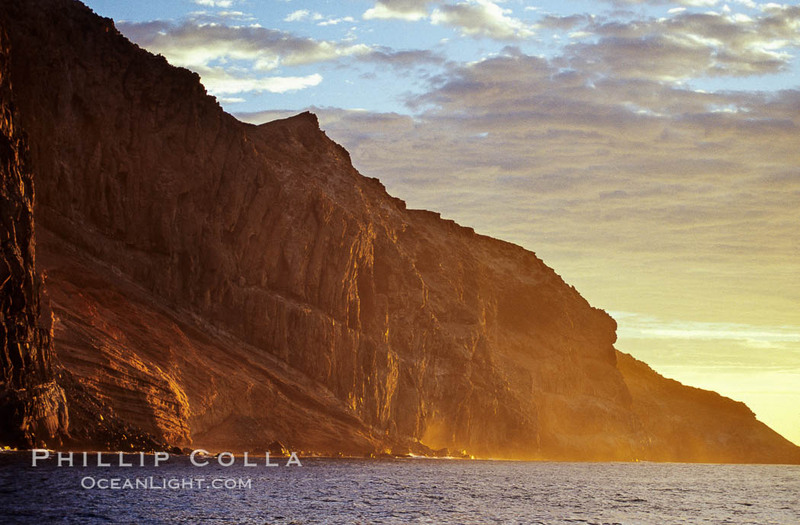 Isla Afuera is a volcanic plug towering 700 feet above the ocean near the south end of Guadalupe Island. 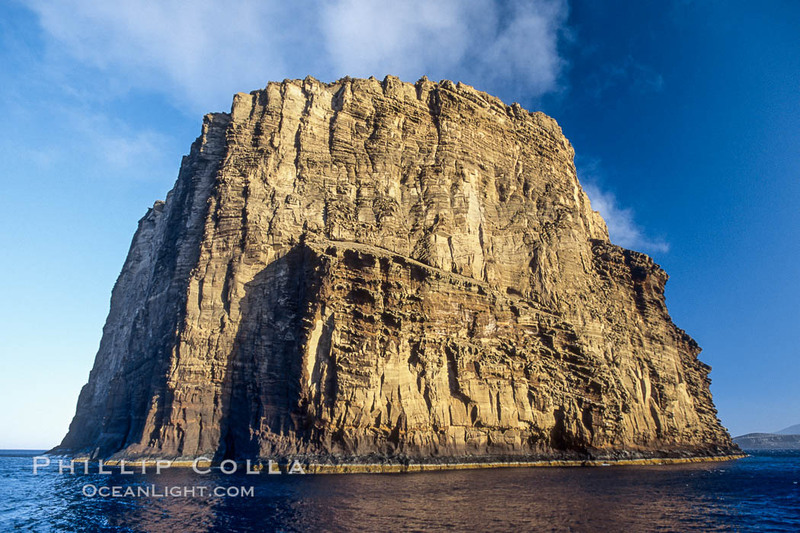 Its steep cliffs extend underwater hundreds of feet offering spectacular wall diving and submarine topography. 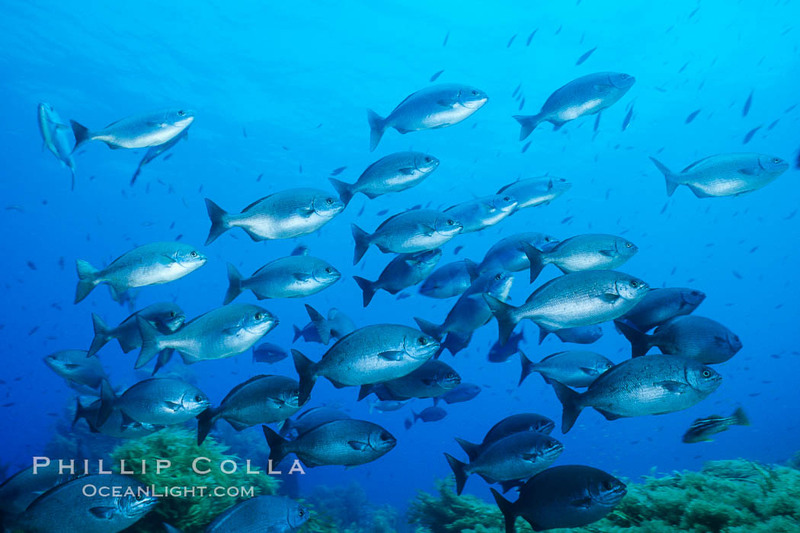 Keywords: Guadalupe Island, Mexico, Isla Guadalupe, scuba diving, free diving, dive boat Horizon, Baja California, San Diego.